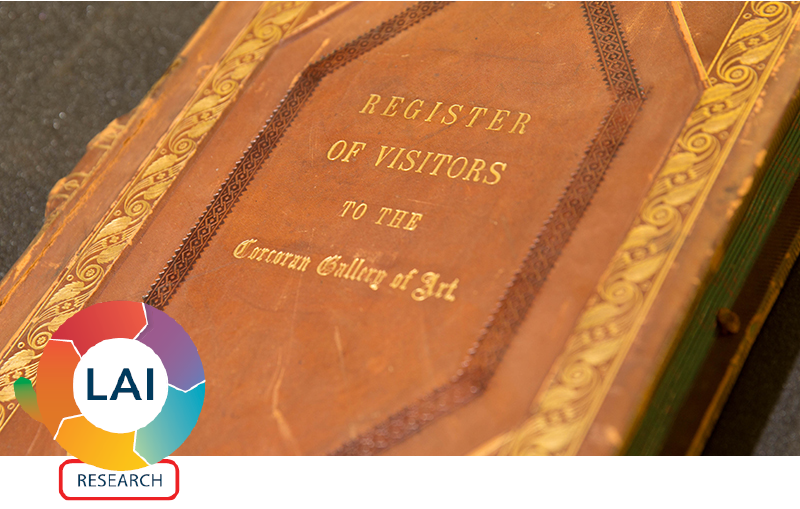 Since 2016, GW Libraries and Academic Innovation (GWLAI) has been the permanent home for the Corcoran Archives, preserving 150 years of history of the Corcoran Gallery of Art and Corcoran College of Art + Design and reopening these materials to researchers. Archival documents and objects stretch from the Gallery’s founding in 1869 to the present day. As one of D.C.’s oldest cultural heritage institutions, this archive provides a unique insight into the history of American art museums and art education. GWLAI is working to make the Corcoran Archives more accessible and easier to use because of the tremendous research value of these collections. Through a generous $158,000 grant from the Henry Luce Foundation, GWLAI is currently processing the entire Corcoran Archives and creating free digital access to significant portions of it. Researchers will no longer need to travel to D.C. to view the collection, but they can now access the history of this world-renowned institution online. The grant allows GW to share an exciting and important part of D.C. and American cultural history with researchers around the world, as the archive includes curatorial diaries, business records, photographs, and architectural drawings, as well as documents related to the famous Mapplethorpe exhibit cancellation.